What is so special about this cocktail is that it's made with the help of ice tea bags. I think they're available pretty much everywhere by now, I remember them being a huge hype around here some years ago. I saw that Lipton has been creating them under the name of "sun tea" and personally I've used brand like Teekanne or Milford. 1. Put the tea bags in a jar and fill it with the fizzy water. Leave them in for about 10 minutes. 2. Blend half of the strawberries and cut the other half in squares (keep two to garnish). 3. Cut the lime in halves and press the juice of one half. Cut the other half in two. 4. 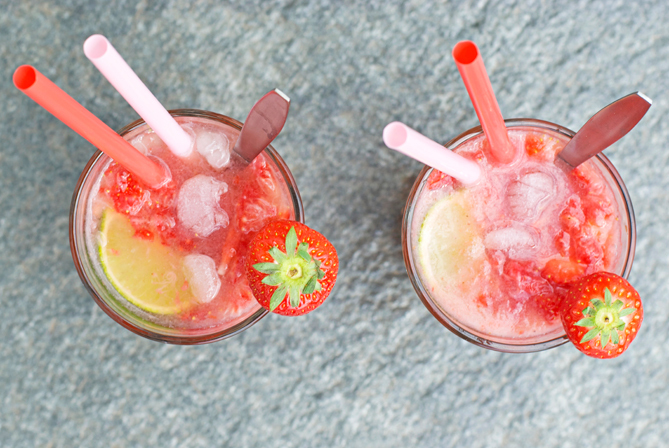 Pour everything in two glasses in the following order: ice tea, elderflower syrup, lime juice, strawberry juice. 5. 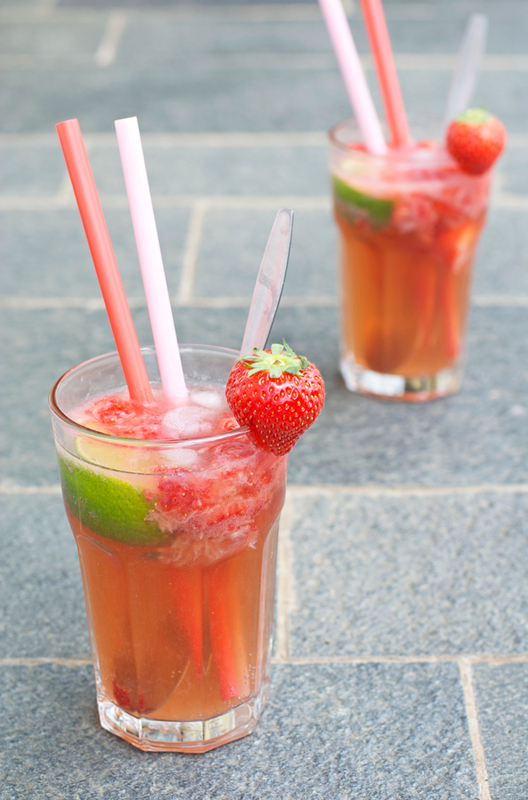 Add the strawberry squares and lime quarters and fill up with ice cubes. 6. Garnish your glasses with the leftover strawberries and enjoy! 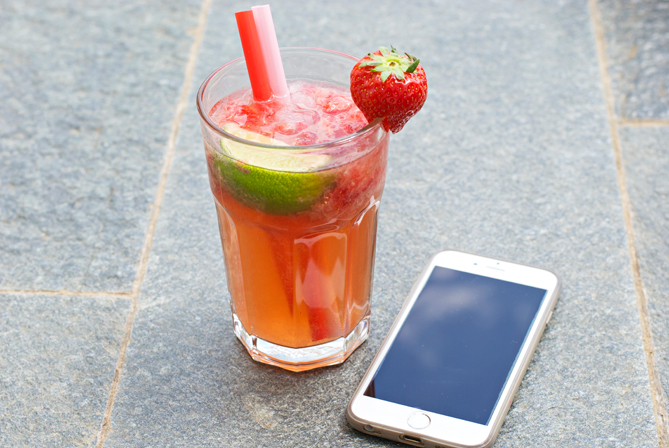 This cocktail is not only really refreshing, but also low in calories plus it's something that will surprise your friends as it's 100% homemade and can't be found in any cocktail bar. Will you be giving it a try this summer? Aw they look so yummy! Thanks for sharing the recipe!! MMMHHH! This looks soo yummy! 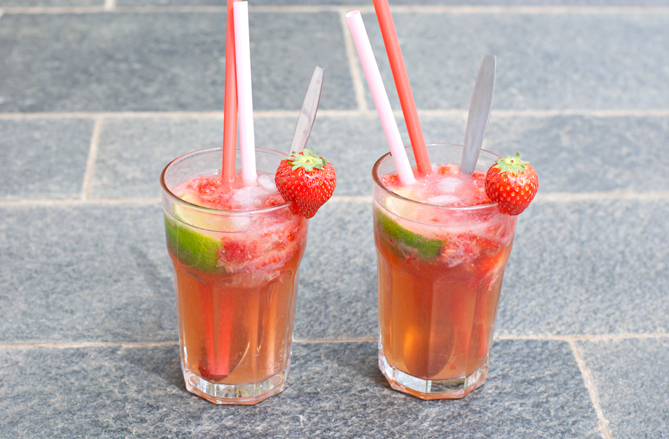 I totally would love a strawberry mock tail right now! I told myself that this summer I will be making more cocktails, because it's so much fun and refreshing and looks great :) thanks for sharing your creation!!! Great recipe these look so yummy!